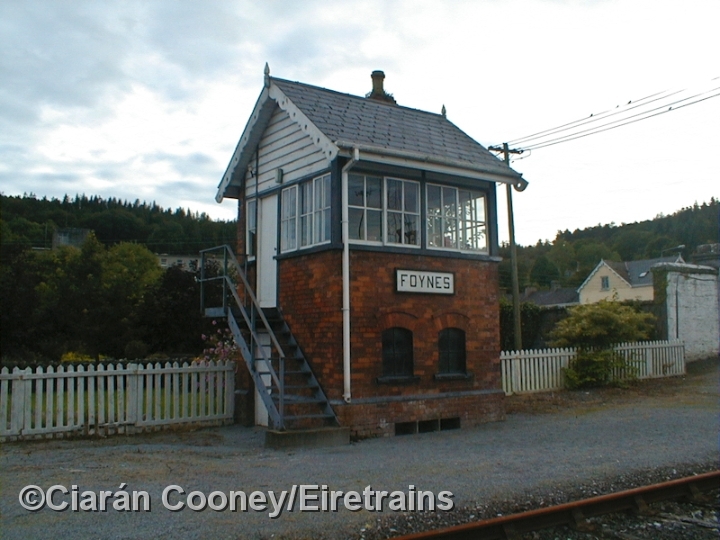 Foynes, Co.Limerick, on the Shannon Estuary was first served by rail when the Great Sothern & Western Railway built a branch from their North Kerry line from Limerick at Ballingrane Jct to the important port in 1864. 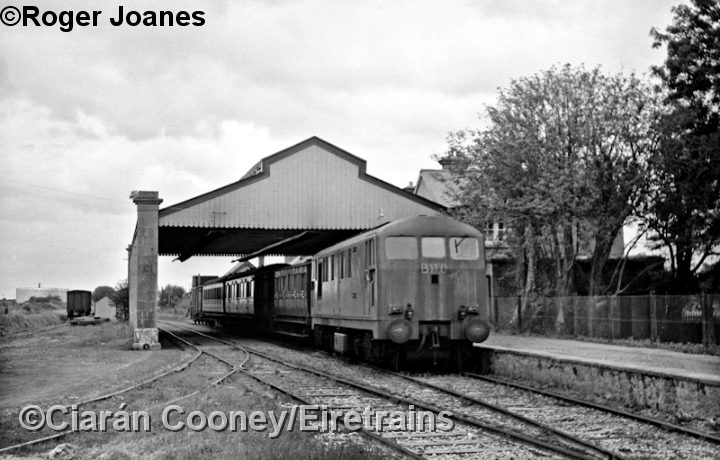 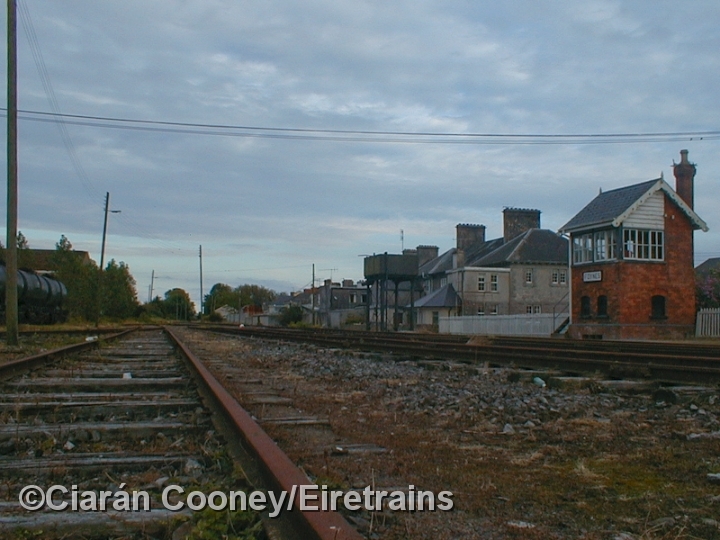 The Foynes branch, along with the North Kerry line lost their passenger service in 1963, while the section of the North Kerry line from Ballingrane to Tralee closed in 1977, the line to Foynes from Limerick was kept open as several railfreight services had been established at the port. 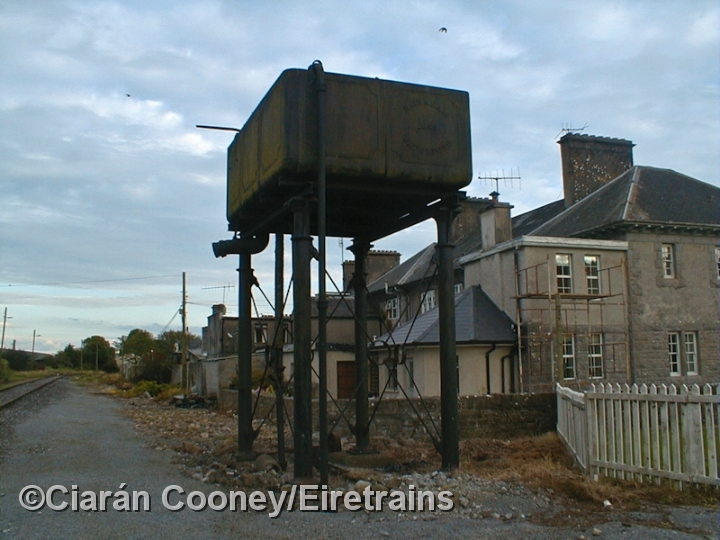 These included mainly barytes ore from Silvermines, coal & oil to Ballina and later fertiliser traffic. 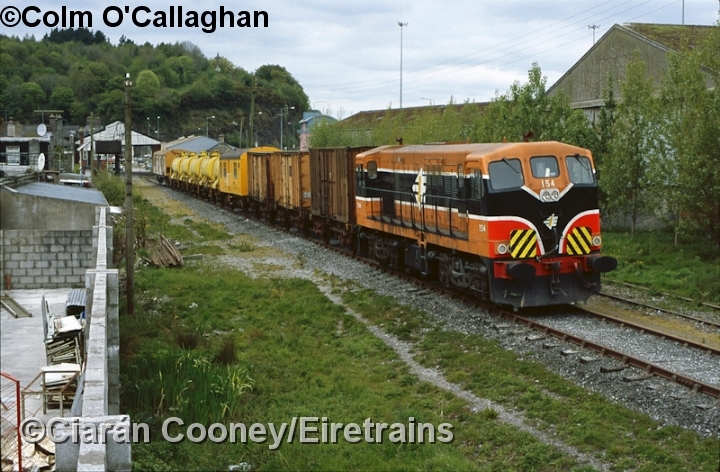 Unfortunately railfreight has been lost to roads and the last freight train departed Foynes in 1999. 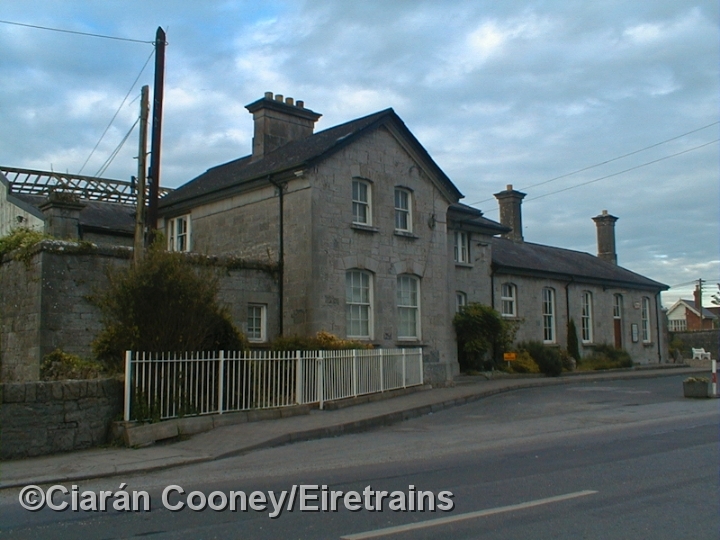 Today, the Foynes branch is now disused. 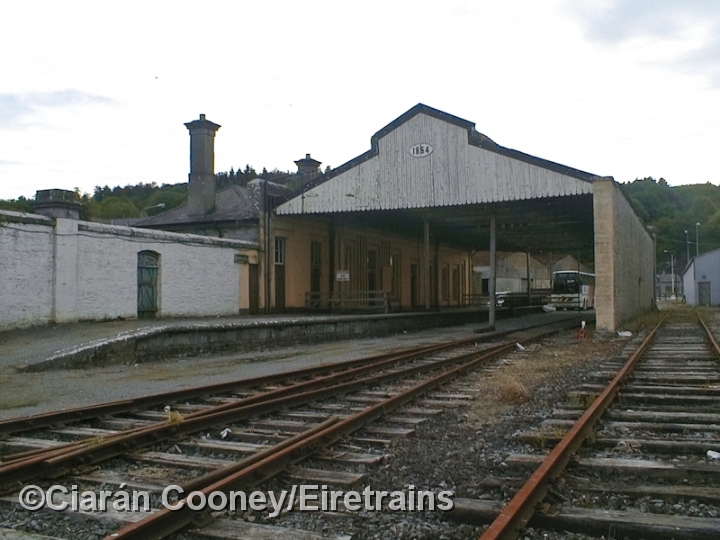 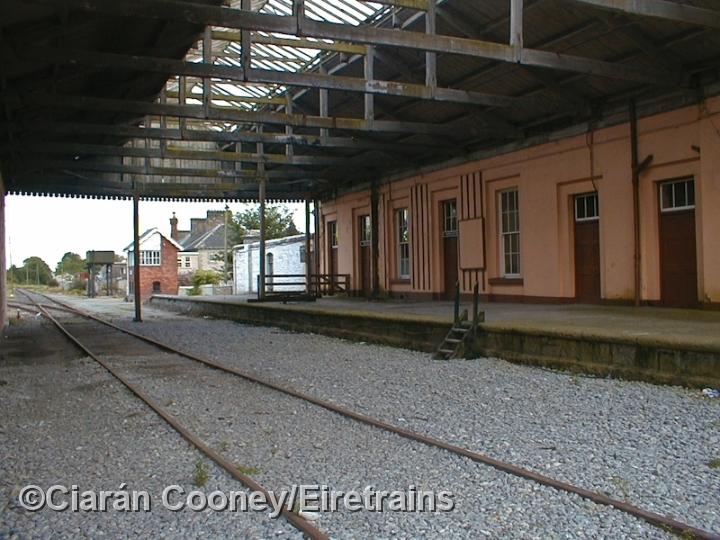 The station at Foynes is one of the few to retain its wooden train shed roof, which is now sadly collapsing since these pictures were taken in summer 2002. 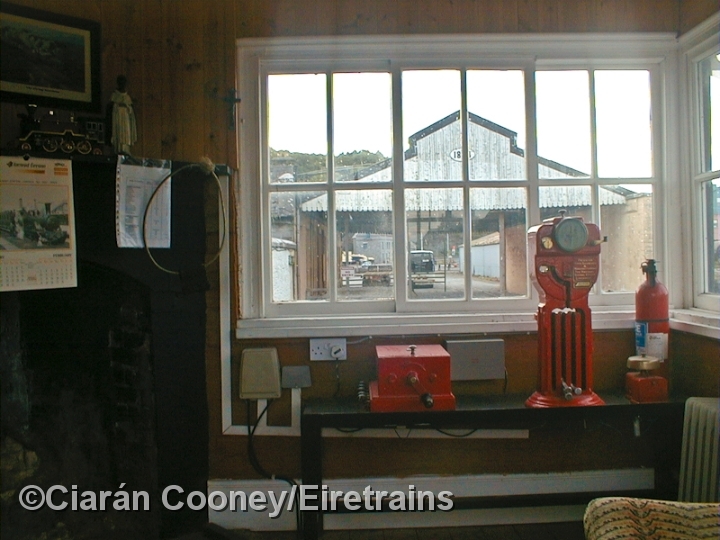 The GSWR signal cabin, which was out of use for years was restored, but now serves no purpose. 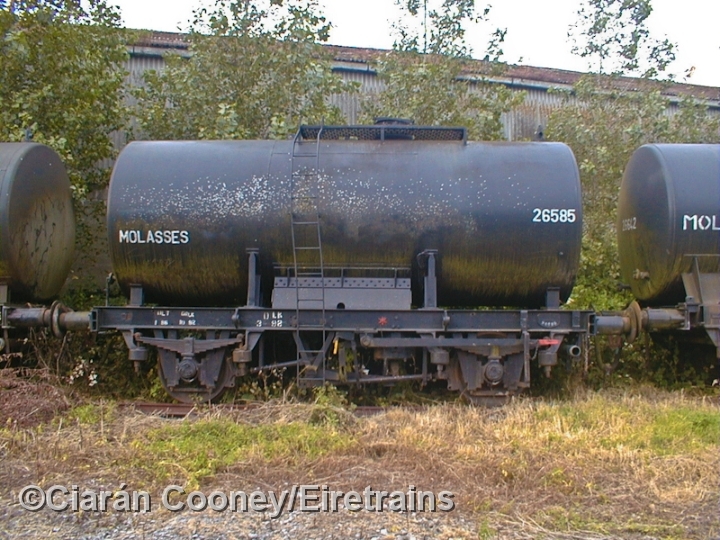 Foynes still retains its somewhat extensive yard and freight sidings, often housing redundant freight wagons awaiting scraping. 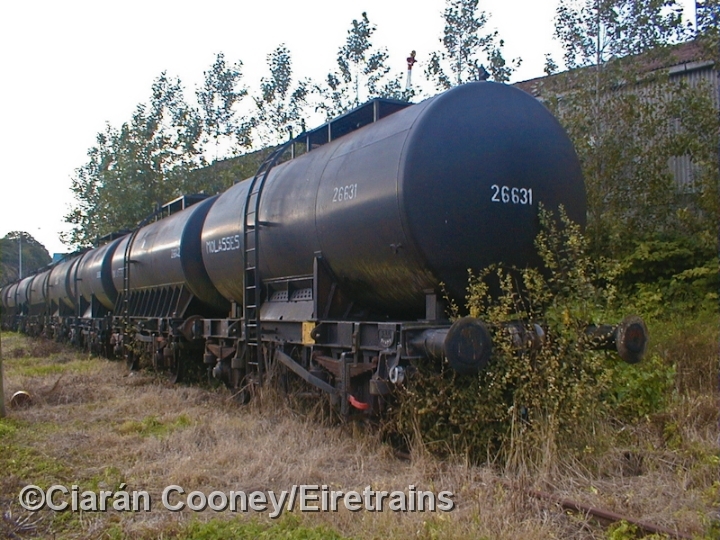 The last train down the branch was the weed sprayer in May 2002.